Sustainability, environmentalism and taking action against the threat of climate change will be at the center of UC San Diego’s Earth Month celebration throughout the month of April. 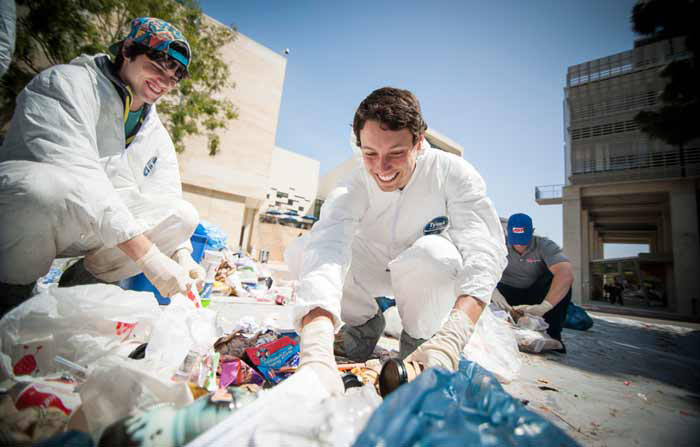 This year’s theme, UC San Diego: Using Science to Protect the Planet, will be weaved into events designed to educate and engage the campus and surrounding community. Events will range from a trash sort, to lectures and a green job fair, as well as the San Diego March for Science and much more. On April 22, thousands of science enthusiasts will participate in a March for Science to be held on the National Mall in Washington, D.C. Meanwhile, more than 400 sister marches will be held simultaneously in cities across six continents, including a march in San Diego. Robert Cooper, a postdoctoral research in the Division of Biological Sciences at UC San Diego, is co-organizing the San Diego march, along with attorney Melissa Slawson and entrepreneur Alex Eyman. Diana Hereld, a researcher in the UC San Diego departments of Music and Psychology, is co-chairing marketing and social media for the local event. 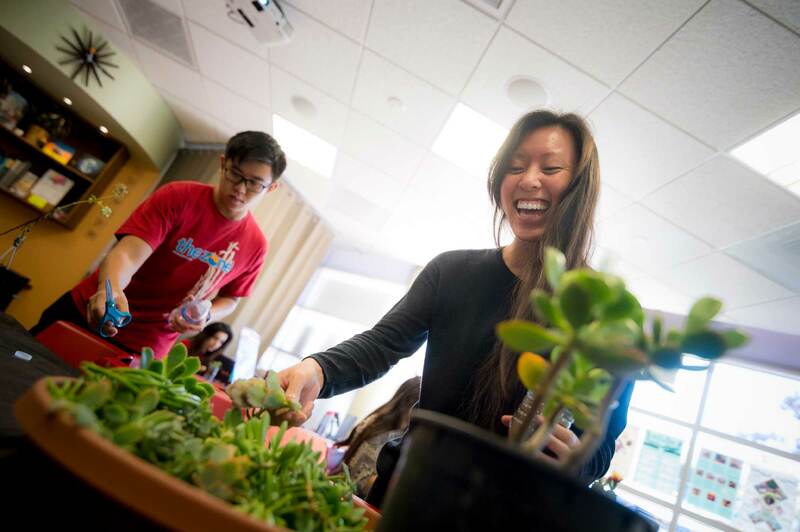 This is the second year UC San Diego has extended its Earth Day celebration, recognized nationally on April 22, into a month of eco-friendly events. Efforts to reduce carbon emissions from the campus have been underway for years, and UC San Diego has pledged to become carbon neutral by 2025. Gary C. Matthews, vice chancellor for Resource Management and Planning, said this year’s theme highlights UC San Diego’s legacy in environmental research. “UC San Diego is shaped by its founders, many of whom were instrumental in early climate change research,” said Matthews. These founders include Roger Revelle, a pioneer of climate change research, and Scripps Institution of Oceanography’s Charles David Keeling, who established the Keeling Curve in 1958. The first to measure and record atmospheric carbon dioxide concentration, the Keeling Curve is now considered the most important geophysical measurement of the 20th century. “Today, faculty, students and staff across campus carry on this legacy through developing ground-breaking research to address the threats of climate change as well as other pressing challenges,” Matthews said. 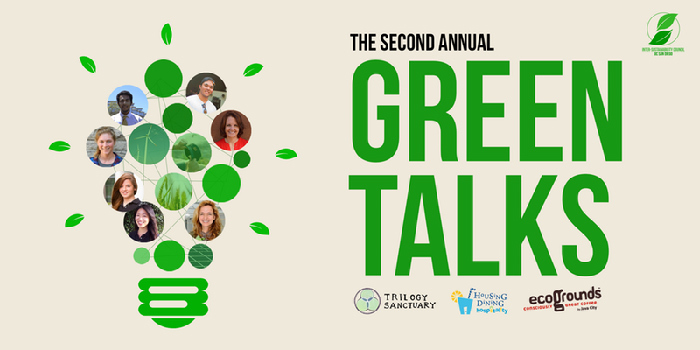 A top event for this year’s celebration is the 2017 Green Talks on April 4, organized by the Inter-Sustainability Council, a student-led organization that seeks to establish partnerships with sustainability-oriented organizations on campus and within the greater San Diego area. Similar to TED Talks, the 2017 Green Talks is an environmental symposium intended to inspire support for and discussion of sustainability. Additional details about this and other Earth Month events, which are free and open to the public, can be found below. For complete information about Earth Month activities, click here (link to Earth Month website). Inter-Sustainability Council 2017 Green Talks, April 4, 4 to 6:30 p.m., Price Center East Ballroom: The environmentally focused version of TED Talks, Green Talks will feature six speakers from various fields to discuss how their subjects relate to sustainability, and how UC San Diego students and community members can get involved to increase environmental awareness. The event will also feature an interactive Q&A panel, networking session, organic and vegan snacks, areal yoga performances, sustainable product giveaways and more. To learn more about the Green Talks or to RSVP, click here. Inter-Sustainability Council (ISC) Spring Quarter Mix-A-Lot, April 13, 4 to 6 p.m., Sustainability Resource Center: The ISC invites students to meet with other students involved in sustainability-oriented organizations on campus at this social networking event. Free refreshments, including vegan and non-vegan options, will be provided. Annual UC San Diego Life Sciences Sustainability Fair, April 19, 10 a.m. to 1 p.m., UC San Diego Medical School Ceremonial Lawn: In support of UC San Diego’s Principles of Sustainability and in honor of Earth Day 2017, the campus is hosting the third annual Life Sciences Sustainability Fair. This fair is intended to bring awareness of sustainability-related research being conducted in the community as well as inform researchers of resources available to them on how they can make environmentally preferable behavior changes in their lab to foster sustainable research. Annual Earth Day Sustainability Fair, April 20, 11 a.m. to 1 p.m., Price Center Plaza outside the Sustainability Resource Center: Featuring various student organizations, campus departments and vendors, the fair will encourage campus community members to live more sustainably in celebration of Earth Day. Center for Energy Research (CER) Open House, April 21, 8 a.m. to 2 p.m., UC San Diego Atkinson Hall: Join leading scientists, engineers, students and key stakeholders from the energy, policy and social science communities to discuss CER’s key research areas and the challenges we face to sustainably meet the world’s growing energy needs. Speakers will include a range of academic and industry leaders, and a poster session will provide valuable networking opportunities with students, postdocs, faculty and industry representatives. To register, click here. Trash sort, April 21, 11 a.m., Library Walk: Students and staff will dig through hundreds of pounds of trash on Library Walk to demonstrate how much of ordinary garbage is made up of items that can be recycled. San Diego March for Science, April 22, 10 a.m. to 4 p.m., beginning at San Diego Civic Center Plaza: The March for Science, taking place on Earth Day, is an effort comprised of hundreds of independent, nonpartisan coordinators. With the main event taking place in Washington, D.C., the San Diego march will complement the efforts taking place in the nation’s capital with the same mission to champion publicly funded and publicly communicated science as a pillar of human freedom and prosperity. UC San Diego will have staff participating in both events. Inter-Sustainability Council 2017 Sustainability Career Fair, April 26, 10 a.m. to 2 p.m., Price Center Ballrooms A and B: Students are invited to network with green companies, non-profit organizations, community resilience programs and student organizations at this event. Participants are urged to make connections with potential future employers and spark new conversations regarding sustainability topics, ranging from permaculture and solar panels to the importance of community gardens. More info about this event can be found here. Arbor Day Tree Planting, April 28, 11 a.m. to 1 p.m., Eleanor Roosevelt College, Housing West: In recognition of both Earth Day and Arbor Day—a national holiday where individuals and groups are encouraged to plant and care for trees—UC San Diego volunteers will plant trees at various locations across campus. Volunteers should gather at the Eleanor Roosevelt College, Housing West at 11 a.m. for light refreshments. The tree planting will be sponsored by West Coast Arborists, who will kick off the event with an educational program and ceremonial tree planting. Volunteers and UC San Diego landscape technicians will disperse to the Marshall Community Garden, Muir College, Birch Aquarium and Mesa Graduate Housing to plant additional trees.